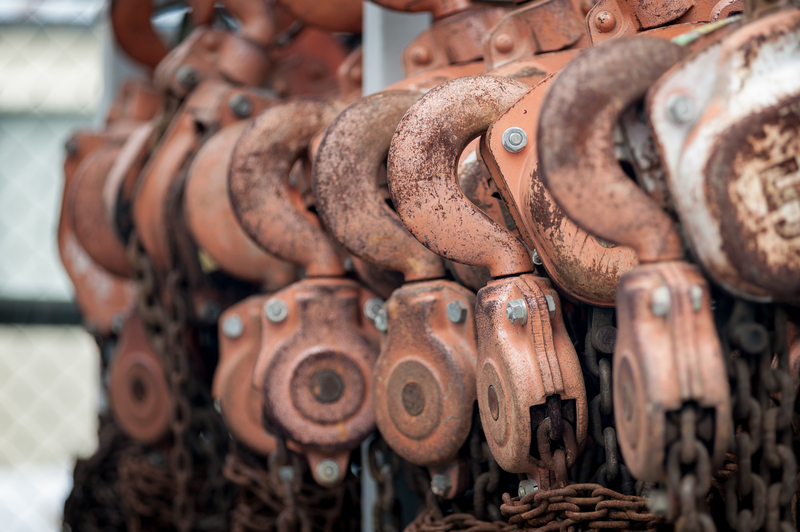 We once had a chat with a rental company – who owned several hundred electric chain hoists about an accident that happened to them. The owner of the company told us that during an installation, part of the chain hoist’s lifting mechanism, which was part of its upper suspension, broke down and the entire machine (with the load lifted) shattered to the ground. However, because of this accident, the owner of the rental company began to doubt the safety of that specific model and brand of lifting machinery. After the first technical investigations were completed, they revealed there was an assembly error of an element in the lifting mechanism. The owner of the lifting machinery complained that since the machinery was “guaranteed for life” such episodes should not have happened under any circumstances. When BLUMANO asked the owner what in his opinion represented the “life warranty” of the hoist and which “life” the manufacturer was referring to (the chain hoist design life or the owner life) – he was a little surprised and confused. This is when we realised that in reality he’d never wondered how long the life expectancy of the chain hoist was. Now it’s important to remember that lifting equipment is designed and built to work safely for a certain amount of time, and this time is the result of the adopted design method. The lifting mechanism of an electric hoist is dimensioned in order to remain safe and reliable throughout the machinery’s entire life cycle, in order to resist to known stress, fatigue and efforts during use. 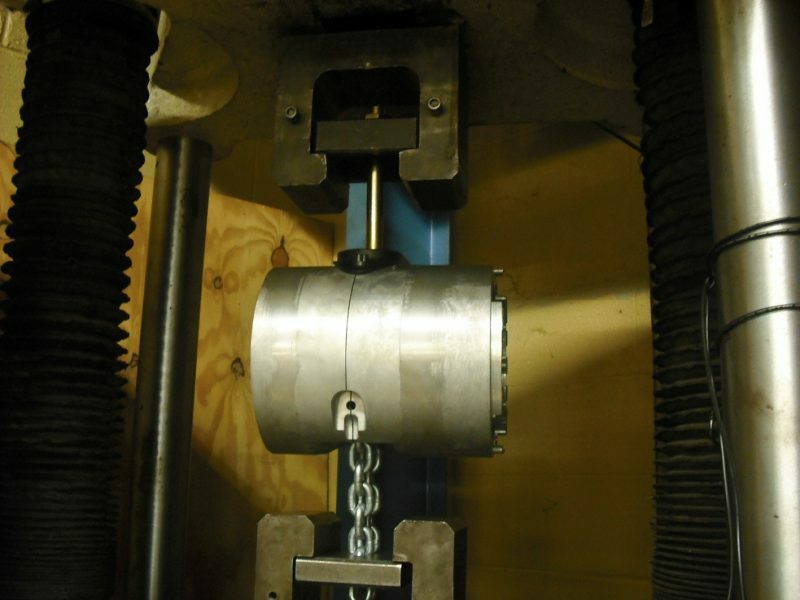 Generally, machinery and lifting accessories must be designed and constructed to withstand the overloads applied in static tests without presenting permanent deformations which could lead to a load release. Figure 1 – Endurance test of an electric chain hoist. In particular, electric chain hoists are designed and constructed to work in a safe working period (SWP), which refers to design working periods that are specified in tables FEM 9.511 and ISO 12482 with relation to design standards as per ISO 4301. The use group of a hoist determines the theoretical lifespan of the machine – its safe operating period, while the calculation of its use – the design life – establishes its theoretical age. “Everything has an end, only the sausage has two”, as the famous German adage reads. For example, if we consider FEM 9.511, the expected lifetime of a new hoist is indicated with a FEM class and the information is reported in the machinery ID label. For chain hoists used in the entertainment industry, FEM classes for groups of mechanisms are most commonly known are 1Bm, 1Am and 2m. What do these FEM classes mean and what do they represent? Again, for example, a hoist that has a FEM class of 1Bm, has a calculated theoretical use D (h) of 400 hours with Km4. We can assume that a hoist with a FEM class of 1Bm – mainly used with a very high load, near or equal to its maximum capacity – will end its theoretical life after 400 hours of use. The 1Am class has a calculated theoretical use of 800 hours with Km4, while the 2m class reaches 1600 hours with Km4. Figure 2 – Table taken from FEM 9.755. Thus, the life expectancy of a chain hoist is not a theoretical prediction estimated by the machinery owner, but is data established prior by the manufacturer and corresponds to a precise declared value. Back to our initial example, the rental company that owned the chain hoist managed to establish from the chain hoist’s serial number that the machinery was 17 years old. Unfortunately, the hoist had no log books or records concerning the age of the theoretical utilisation D (h) . Thus, this represented a small handicap concerning the calculation of the residual theoretical life. We can say that the average life of a dog is between 10 and 14 years, the life of a horse is between 25 to 30 years, and the life of a man is between 75 to 90 years. The average life of a 1Bm class hoist is 400 hours. Establishing the age of a human being – to understand life expectancy – is an affordable challenge; at a theoretical level, it’s possible to identify the age of a person based on the external connotations, the voice and other visual references. For machinery, it’s a bit different. Hoists employed in an industrial environment are used daily for short operating cycles and mount chains that rarely exceed 7/9 m in length. These hoists spend a good part of their life hanging on the same hook point with no intended use variations. However, in the event industry, hoists are used instead in alternating periods where the conditions are different all the time, and where they’re often utilised in borderline applications with the mounted chains rarely being below 18/20 m in length. Also, they spend most of their life in flight cases or hanging outdoors. In an entertainment environment, a hoist usually ages from the outside to the inside, while in the industrial field it ages from the inside out. Often you see industrial hoists that are apparently still new with hundreds of hours of completed work, but are close to the end of their safe working period. On the other hand, in the event industry, there are hoists used in shows that look shabby and very worn despite having done only a few hours of effective work. A great example of this is the hoist and equipment hirer we mentioned in the beginning whose hoist was 17 years old before it showed any signs of fault. Although periodic inspections and maintenance were carried out and correctly reported, the documentation on the periodic use D and its registration were missing. b) Appropriate documentation and metres. c) Documentation without appropriate counters. Hence, the actual use of the hoists must be recorded, such as how many minutes/hours it works per day and what stresses it is subjected to (what load it raises). In registration with instruments, other data is also recorded, such as the voltage of the supplied current, the current absorbed, the temperature of the motor and so on. In this case, a coefficient of f = 1.0 is used. In the documentation with appropriate metres, the machinery is equipped with a counter that records the starts per hour and the working time length, but the stress (the load from time to time raised) is only documented with respect to the load spectrum from Km1 to Km4 (see Figure 2). In this case, a of coefficient f = 1.1 is used. In the documentation without appropriate metres, the user documents the stress conditions and the hours of operation with respect to the load spectrum from Km1 to Km4 without using metres. In this case, a of coefficient f = 1.2 is used. Figure 3 – Endurance test of an electric chain hoist. So how do we count the hours of use? Let’s look at a hoist with a capacity of 1000 kg, speed of 4 m/min and class of FEM 1Bm. The hoist raises 250 kg for a period of five minutes (20 m travel). 250 kg corresponds to 25% of the flow capacity while five minutes of stroke corresponds to 1/12th of an hour, then to 0.084 of a hour. Kmi is the relative real load spectrum, (full load, half load, one quarter load, one eighth of load). There are actual working hours during each period between inspections. f is the coefficient depending on the data recording mode. S represents the real use. The formula for use is S = Kmi x Ti x f (taken from FEM 9.755). S = Kmi x Ti x f corresponds to 0.25 x 0.084 x 1 = 0.021 hours of use. S = Kmi x Ti x f corresponds to 0.25 x 0.084 x 1.1 = 0.023 hours of use. S = Kmi x Ti x f corresponds to 0.25 x 0.084 x 1.2 = 0.025 hours of use. If the hoist did two cycles of work twice a week, as shown above, the machinery would use between 4.3 to 5.2 hours of annual work and the life expectancy of the hoist would be about 77 years. If the load lifted was (Kmi) instead of Km4 – or a full load – for the same number of work cycles, for the same number of days per year, the life expectancy (the safe operation period) would drop to 19 years. For a chain hoist, the elapsed lifetime is the product of the lifted load multiplied by the lifting time and downgraded by the method used to record the operation. The sum of all lifting operations determines their age. Nevertheless, in real life things are different. The owner of the lifting machinery whose chain hoist suspension failed, like many of his colleagues, did not keep track of the lifting loads during the years of any lifting time and very few people do it. FEM 9.755 examines the case of registration for the mode of use in retrospect and for the periods of use without knowledge of the mode of service, while providing a calculation formula that everyone can adopt. S x = 1,5 x 0,25 x 1 x 250 x number of years, where S x corresponds to the actual partial use (in hours of use). The hoist under analysis was 17 years old, as established by the machinery owner. If the hoist had been class 1Bm – equivalent to 400 hours of use in complete safety – the machinery would theoretically had to have been withdrawn from the market after 13 years of use. Each electric chain hoist, which operates in the European territory, without documentation of the time and load of use has an estimated average life of no more than 10 years. The Machinery Directive 2006/42 / EC obliges a manufacturer to keep the technical file related to the machine – and the Declaration of conformity to support it – for a period not exceeding 10 years. (Annex II, part C). Basically, the legislator implies that after this period of time, the manufacturer is not only not required to provide the owner of the machinery with a copy of the instruction manual and the declaration of conformity, but he is also exempted from providing explanations about the construction project of the machinery. 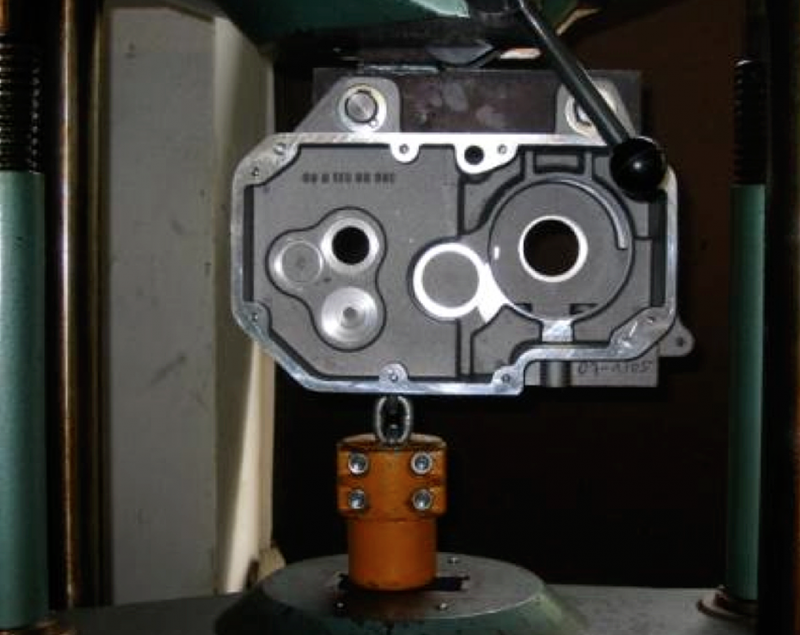 At the end of a hoist’s safe operation period, the machinery must undertake a general thorough examination and inspection, which has nothing to do with its normal routine maintenance and revisions. Thus, the hoist that failed after 17 years of good service was class FEM 1Am, and after 800 hours of estimated safe use it become potentially unsafe machinery.